Leave no rock unturned, it is everyone for themselves! At Rookie Me HQ, the team have embarked on the beginning of a new aspiration, to become the office tipping champion! There is nothing more satisfying than being crowned the top tipper in a company so focused around AFL. 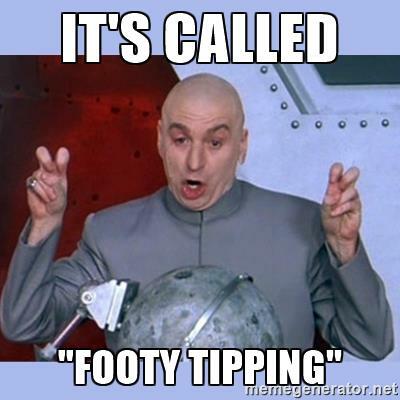 Throughout the footy season, tipping is the first topic of discussion on Monday mornings; and the last on Friday afternoons, as well as all the unfilled conversations throughout the day. All in an attempt to underpin the strategies of everyone else and determine, which teams fellow team members have tipped. It has been interesting to see how some peers protect their tips, ensuring they maintain a poker face amongst fellow colleagues, so as to not give anything away about their choices. Everyone has devised a ‘winning’ strategy. Tactics include researching the influencing variables impacting matches; these range from: weather conditions, the “Ins and Outs” for teams, the previous form guide or the ground. Others choose to rely on luck alone; and thus causing extreme tipping approaches from both ends of the spectrum. 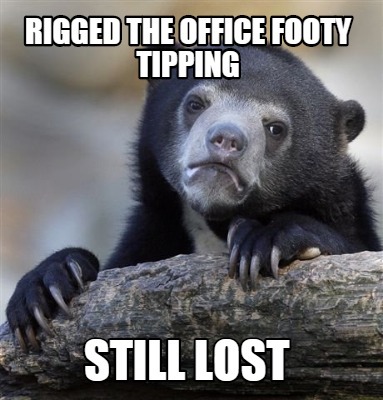 On record, it appeared the office encompassed a mixed bag of talent when it came to football and footy tipping. We have ex (premiership) AFL players, AFL enthusiasts, people who knew little about AFL prior to working at Rookie Me and relatives of AFL stars. Over half way through the season, it is safe to say the assumptions were not as they seemed. The ultimate goal. Not all who make it to the top remain in this position. The former first-position holder burst out the gate, but has since lost their position to one that didn’t seem likely. Although being overcome and sliding from first spot, they remain incredibly focused and strategic in their approach. Then after a bad round, the new first place lost the title to another team member. 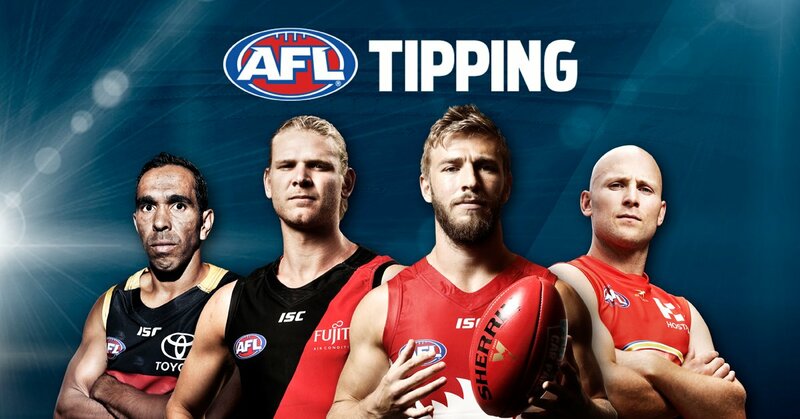 Characteristics of the “top” tipper – they refuse to give any information or even engage in tipping discussions; the chances of these tippers revealing their picks prior to the round is literally none. They have their eye on one thing and one thing only – to make it back to the top and bulldoze all those who stand in their way. Surpassing expectations, this tipping climber has made their way to the top of the leader board to be equal first. Some would say this was not forecasted, given AFL was not a common interest for them in the past. That was, of course, until now. After soaring their way to the top, they are not going to let that lead go so easily and are weary of the fiery competition behind them. The “unlikely achiever” stands equal first with a team member rarely in the RM office. Some might see the fact of not being in the office as an advantage, as they are not harassed to spill the beans on their tips and can go about their business uninterrupted. This is the similar case for another team member who spends little time in the office, who trails the top position by just two points. They have both proved they are worthy challengers and are two forces to be reckoned with. They know what they are doing. They take a different approach to their tipping and put thought and care into their choices. They are always happy to discuss the matches, but keep their broad opinions relatively secret. It has been their vigilant method, which has positioned them in a consistent top-four spot, narrowly behind the leader. Started with full confidence, but after some unlucky tipping results, they were left with some ground to make up. Expressing their frustration following the games on the weekend, it is inevitable, that they are determined to make amends and reclaim their position towards the top of the leader board. Tends to act as if they care little for their tipping choices. Maybe they do, maybe they don’t. However, they are proving to be quite consistent and look to sneak their way up the ladder. 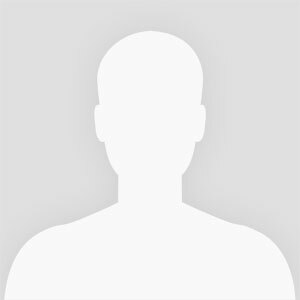 It has become obvious who the ‘big-shot’ players of the competition are; and it just might be the distraction that some colleagues are leveraging off to fly under the radar… I believe it is time to shift focus to the ones who pose as unnoticeable threats – also known as the underdogs. Enters the competition with energy and confidence. Will try to persuade everyone to think they know everything; and will attempt to psych everyone out. As the competition progresses, it has become evident that they have not been successful backing their claims, based on their results. Yet again, only time will tell. 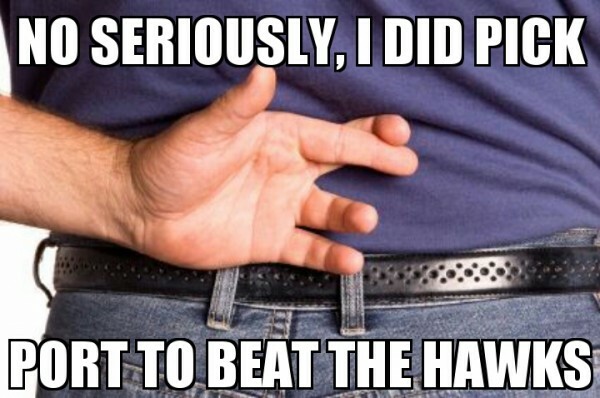 Takes their picks round-by-round and doesn’t try to overachieve. They keep a cool head and perform well, to give themselves an opportunity to succeed in the competition. Will do what it takes to be a threat in the competition. It may not be lawful or accepted by all, but it uses tactics overlooked and slightly frowned upon, to put them in the front line. At the end of the day, it’s a competition, and those who push themselves, will be in the best position to prevail. Tends to scrape their way through the competition. Either forgets to enter their tips for the round or it has been questioned whether this excuse is to overcome their poor tipping choices – something that will remain unknown. More often than not, they are the ones to receive the lower score for the round and typically hover around the bottom end of the ladder. As tight-lipped as we all are about our potential round selections – as tight-lipped we will remain about who fits the following characters; however, you are free to guess! Until the winner has been crowned, our fellow RM family members will remain anonymous. The stakes are high, the battle continues. Does this remind you of your office? As part of the Rookie Me team, Elisa is passionate about all things AFL; and is always keeping on top of any news to hit the AFL scene. Elisa has completed her bachelor degree in Exercise and Sport Science and has been involved in numerous football clubs.